Daniel Winkler, the founder and lead designer of Winkler Knives II, is one of the most dedicated and talented makers in the world of elite military-grade knives. Since Winkler turning to knife-making full-time in 1988, Navy SEALs, special ops and other military personnel have trusted Winkler's American-made knives to meet their needs. The Winkler Crusher Belt Knife exemplifies the authentic craftsmanship and functional design that Winkler Knives are known for. 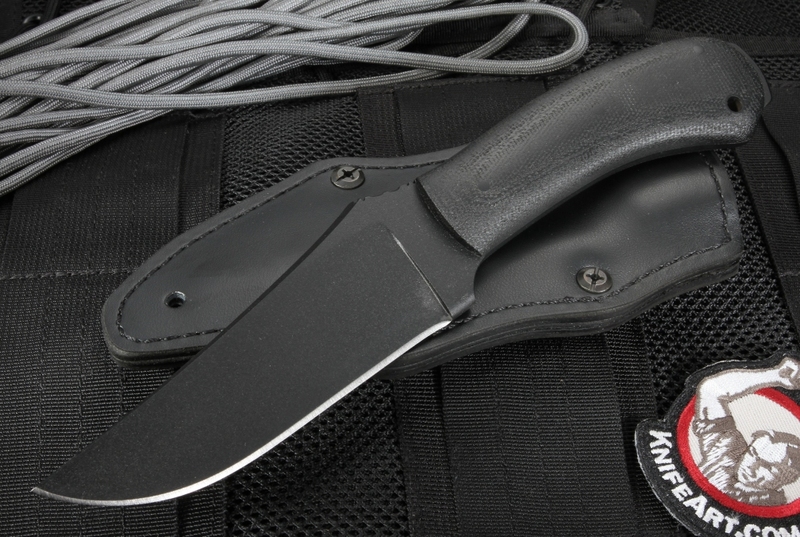 It has a contoured black micarta handle and a black KG finished blade that give it practical function and visual appeal for outdoorsmen and first responders. The Winkler Crusher Belt Knife is an impressive 9.5 inches in total length with a 4.5-inch blade and weighs 8.7 ounces. Winkler custom-makes this outdoor fixed-blade for perfect balance and great feel in your hand. This Winkler Crusher Belt knife is made with only the highest-quality materials, featuring an 80CRV2 Carbon Steel blade with a black KG finish. The KG finish provides rust resistance for the carbon steel blade and makes the steel non-reflective as well. The black color is useful to keep a low profile as well, especially at night. Knife blades with 80CRV2 steel are known for their edge retention and flexibility. Because the heat treatment process is easier than alloy steel, they are more affordable without sacrificing quality. 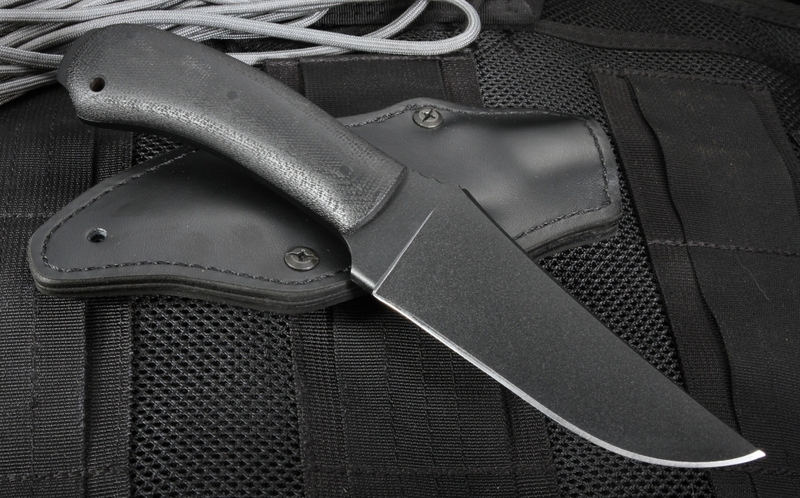 This edition of the Crusher fixed knife has a handle made of premium contoured black micarta with a full-tapered tang construction. The Crusher Belt Knife features an exposed rear full tapered tang that can be used as a "Crusher", giving the knife its name. 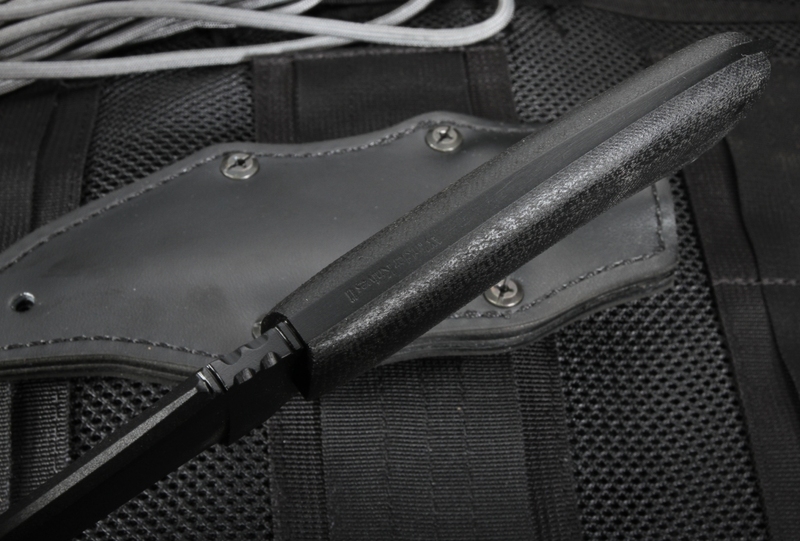 An attractive custom-made Kydex-lined black leather knife sheath is included that has both vertical and horizontal carry options. Other features of the Winkler Crusher are a filed thumb rest on the blade spine for a secure grip, a lanyard hole in the handle and an integral guard. 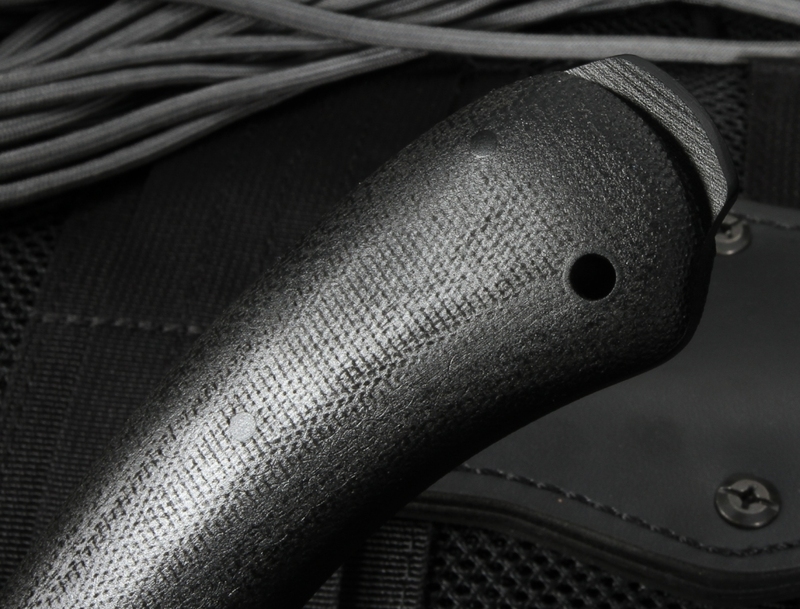 The custom leather sheath comes with multiple attachment options. These features improve the overall safety, comfort and functionality for the user. The Winkler Crusher Belt Knife is an essential companion for the avid outdoorsman or for members of the law enforcement and military community. Daniel Winkler proudly makes each black belt knife in North Carolina infused with the authenticity and inspiration of frontier America. As an authorized Winkler Knives II dealer, KnifeArt.com can offer this special ops knife at the best possible price with free same-day shipping and prompt service.